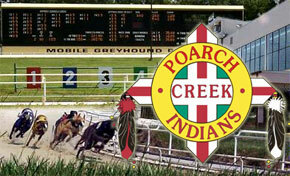 Saturday afternoon, the Poarch Creek Indians confirmed what NorthEscambia.com first reported early Saturday morning: The tribe is purchasing a majority interest in the Mobile Greyhound Park and the Pensacola Greyhound Park. Court records in Escambia County show that the Poarch Band of Creek Indians PCI Gaming Authority has held the $3,450,000 mortgage on the Pensacola Greyhound Park since May 15 of this year. The Poarch Creek Indians opened the Wind Creek Casino in Atmore back in January. The casino’s only games are video bingo machines that resemble slot machines. The casino does not offer card or table games. In February, the Escambia County Commission reversed a December vote, allowing the Pensacola Greyhound Park to offer table poker games. The park has not offered the poker games to date. PCI Gaming Authority, a wholly owned entity of the Poarch Band of Creek Indians, today announced that it will make a substantial investment in two pari-mutuel greyhound tracks. PCI will invest in Mobile Greyhound Park located in Theodore, AL and Pensacola Greyhound Track located in Pensacola, FL. The transaction is pending final approval by the respective regulatory bodies governing the two race tracks. Both Mobile Greyhound Park and Pensacola Greyhound Track have been owned and operated for many years by a partnership comprised of several local families. These families will retain interest in the respective tracks and will partner with PCI in the ownership of these facilities. The new owning partnerships will be Mobile Greyhound Racing, LLP and Pensacola Greyhound Racing, LLP. The employment base at these greyhound race tracks is approximately 300 people. Dorris says he expects to retain those current positions. Additionally, with the substantial capital investments PCI Gaming plans to make to both venues, Dorris says he fully expects the employment base to grow. Currently, PCI Gaming employs 1,600 people working at 3 different sites in Alabama; The Wind Creek Hotel and Casino, The Riverside Casino in Wetumpka, and the Tallapoosa Casino in Montgomery. Tribal businesses paid more than $10.3 million in payroll inventory and other taxes last year. This is great news! Prior to the purchase of the Pensacola Greyhound Park people who wanted to play poker had 2 choices: drive to Biloxi or to Ebro Greyhound Park. Now people can stay closer to home to enjoy real Florida-style poker. Many play poker recreationally in small home games and can now try their hand playing No-Limit Texas Hold’em juts like on TV! I only hope that the Pensacola does it right — build a nice new poker room like other properties have in central and southern Florida. Let’s shuffle up and deal! I do not really know what PCI planned while purchasing them.I think that was not a great move. Now that the government has denied the Porch Creek Tribe’s request to install slot machines at the track, maybe they will pull out of the deal and let the track go out of business. regardless of your beliefs regarding gambling and any cruelty associated w/greyhound dog racing, my comment is regarding the adoption of the retired greyhound dog….ive had two (one died at age 13)…and, my current greyhound POLAR is going strong!…but, they bring a tremendous joy in my life!….for the right family, they make WONDERFUL pets…..the late MICHAEL MASSARO of ESCAROSA GREYHOUND ADOPTION (in buleah) dedicated his life, until the very day he died, on behalf of these beautiful creatures in trying to place them in loving homes…..all of his dogs came from the pensacola and mobile tracks…i would encourage anyone interested in adopting a retired greyhound to contact their local vet or the GREYHOUND PETS OF AMERICA (GPA) of pensacola…i know that PETSMART was helpful in allowing GPA to bring in potential adoptees to the store on certain days of the month…im not sure if they still do that or not…also, of note, both of my greyhounds were excellent w/cats!…these dogs make greyt pets and definately deserve a good home! we will not be a participant in animal cruelty which is exactly what greyhound racing is. the aspca and every other group for the humane treatment of animals recognizes this inhumane cruelty not only to the dogs but to the other animals used for human entertainment in training these loving animals. they die needless cruel and tortured deaths for human’s greed and lust. the justification of this in the name of a few ‘jobs’ is disgusting. as of tomorrow my company will have nothing to do with this indian tribe. it is a shame and blight on their ancestoral traditions to the land and the animals of the earth and an affront to every living thing. My problem with your job has nothing to do with gambling, sin or any religious opinion. My problem with you and the people you call your family is the fact tht you condone the mistreatment of animals for YOUR personal gain. You and your people give reason for the breeding of tens of thousands of dogs, of which only a select few ever see the track and even then those select few are only viable race dogs for 3-4 years. After that the majority of them, as well as the dogs that were not fast enough, are inhumanely put to death. A total and complete waste of life! It is not like raising chickens and pigs for slaughter, those animals at least provide life and existence to others. The animals you and your people breed and raise are destine for miserable lives and I will not support you or ANY business that condones this behavior. You people are no better than those who fight dogs and it won’t be long before your industry sees the same fate. You and your PEOPLE disgust me! I too will never step foot in a PCI Gaming business again. Biloxi has far better casinos anyway and from what I have seen of that run down place you call work, respectable people would never be caught dead in such a dump. GREYHOUND RACING IS ANIMAL ABUSE! One day each and every one of us will stand before God and be held accountable for the choices we made while on this earth. I hope every body chooses to accept Jesus as their Lord and Savior before then. There is no reason to hate unless you yourself have a personal problem with gambling. And when I say personal I mean you yourself have problems with your own free will. Every one in this country has been given the right of free will. You make a choice to walk into an establishment due to free will be it a bar, a casino, a strip joint, or even a mall. You make that choice to pick up that beer, drop money into that slot, give a dancer a dollar, or even spend hundreds on that outfit you really don’t need. I agree there are many addictions in this world. But to say that this new opportunity for the city of Pensacola is a sin and that we will feel the wrath of God because of this is total hogwash. What we all should be thankful for is that this will produce many much needed jobs for the unemployed here in Pensacola. My family has worked at the track for over 30 years, and when I say family I don’t only mean personal family, I mean people who I have known for that many years and they all are thankful number one that their jobs have been saved and number two that someone like the Porch Creek Indians actually gives a damn to help them save their jobs. And then the actual advantage of employment to other unemployed inviduals who need jobs here. So why don’t we try to think outside the box for a moment. And take this as a blessing and not a curse. And for the record, this is not the “mob”, these are Porch Creek Indians. And they work just as hard as anyone else. Just because they are given certain types of grants and help does not mean we have to hate. I do not know if the hurricanes we have been getting are a wrath from God or not. I am not the judge, only God is. I would just like to remind everybody of a story in the Bible about Sodom and Gomorrah. God destroyed these cities because of the peoples sin. Just something to think about. In response to weepandsow: So basically you want a free handout? members on issues of what’s best for the tribal members…. a paycheck to help us with our own struggling budgets. Inner circle politics…one day will disapprear…you know who you are. I hope you are not seriously touting the notion that God sent Hurricane Katrina to hit MS and LA because of the casinos and partying. Hurricane Ivan devestated Atmore before we got a casino, and took out much of the casino free coast in Baldwin County and Pensacola with it. We will all be held accountable for whether or not we believe in Christ one day – but the whole reason we have Christ to believe in is because we are all guilty of sin. God does not punish us based on what sin – and he does not send hurricanes to take out entire regions because of what political and business leaders have decided to build there. I say kudos to PCI! I am not a member of the tribe nor am I a big bingo player but I have enjoyed watching the tribes business efforts really take off. I have been to the Wind Creek a whopping total of one time but I was impressed. The steak house was awesome. I can hardly believe that we have such a fine restaurant in our little town. Stop hitting us all over the heads with your bibles. We are exercising our free will when we choose to play games of chance. Many of the folks on here complaining selectively use parts of the bible while ignoring the rest. We choose to ignore the references to gambling until you start stoning people again for not observing the sabbath as an example. I could go on. Heck I might even vote for a democrat this time around. Something I have not done since Howell Heflin! Bring on the dice baby! From what I understand…. PCI is now just a partner in what Pensacola Greyhound Track has been doing for 50 plus years with multi-partners/owners. The only thing that has changed is…. Escambia county has finally allowed poker in this part of Florida. The very same poker which has passed and has been played at almost every pari-mutuel track in the state of Florida since 1994. Look out Vegas, PCI has their eye on U! God help the weak!! There are already so many people in this area that loose everything they have every 1st of the month because of playing bingo. People pawn valuble goods, steal, and sell in order to play bingo. And bingo is such a joke in the first place, I see people in my own family that will spend over $1000.00 in 2 weeks just playing bingo, and when they hit $250.00…wooohooo they think they hit it BIG…….same thing with lottery tickets, I know a woman who has written checks to buy lottery tickets hoping she wins enough to cover the checks……..hmmmmmmmmmm, never ending addiction. 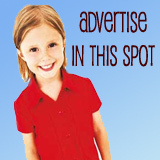 and now the bingo parlors even have “video bingo” yea right, another money taker. I see people with such an addiction to bingo, video bingo, slots that nothing matters but to get that daily fix. wish we could make people understand that you DO NOT WIN in the bingo parlor, ONLY THE OWNERS WIN (your money) and thier wallets are just getting fatter and fatter and they laugh more and more everytime they see you walk in to loose another $100.00……PLEASE PLEASE PLEASE Bingo players, please stop supporting the owners of these mob owned places. I hate this is taking place. You see how God cleaned out MS and LA . Do not make our communities commit sin! God teaches us about false hope. You can cover it with all kinds of reasons but the bottom line is it is a sin! The money will not be clean. What Pensacola needs is a Casino on Perdido Key ! Just think of all the Jobs,Good Wages & other Employment Opportunities this would bring to this area,not to mention all the extra Dollars ! This is exactly what we have been trying to say – put it in a location that it can be regulated and where there is already gaming. Welcome to Escambia County, Florida Poarch Creek Indians! Looking forward to going there to play poker as soon as you are up and running. Mobile used to receive significant tax revenue from legalized gambling at the Mobile Greyhound Park before the casinos came to the Mississippi Gulf Coast. Public Schools and Hospitals also shared in the profits. In these tough economic times the revenues that have been bleeding across state lines into the coffers of neighboring states and their gambling or lottories is a slap in the face to taxpaying Alabamians knowing these dollars are going to go to gambling anyway. We are not stopping the money from being gambled, we are stopping our states, school, and other needs from being collected right here in Alabama where this money originates. The Greyhound Park is already set up as a zone for legalized wagering, and through the Indians we could cut through a lot of the red tape and opposition by working out an agreement to classify the land as tribal with stipulations on payment of revenue in some form tax wise to the state and local county governments. This would be a win win situation and could spur more growth for the area with added attractions to boot! Mobile has a chance to awaken from it’s long slumber in Nowheresville. USA now has FOOTBALL, we have BASEBALL, CRUISE SHIP and teminal, a proposed billion dollars sportsplex, soon a Nascar race track, so why not state monitored revenue generating gaming? Make Mobile a DESTINATION and not a pass through city! I really hate this – not because the PCI has purchased them but because of the gaming! I know lots of people who lose their checks the first of every month out there TRYING to just hit the BIG ONE! NOT GONNA HAPPEN! They have lost their cars, and some their homes! I know this is THEIR problem for gaming but if it had never been VOTED thru these people would not be out there ! Now table gaming !!!!!!!!! PLEASE !